– Other income (e.g. Rent, Interest, Royalties). – Stock on Hand at June 30, 2010 (and basis of valuation) – note any obsolete stock. – Primary Producer subsidies (if assessable). – Details of CGT assets (e.g. shares and real estate) sold, including dates of, and costs associated with acquisition and disposal. – Dividends, including details of franking credits. 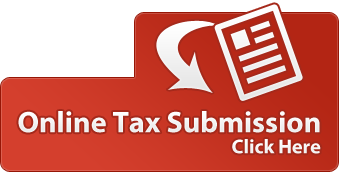 – Income from foreign sources including details of any foreign taxes paid. – Salaries, including fringe benefits. – Fringe benefits tax paid. – Rates, land taxes and insurance premiums. – Interest on borrowed monies. – Deductions relating to foreign-source income. – Retirement payments and golden handshakes. – Bad debts actually written off during the year. – Donations of $2 and over depending on the recipient. – Lease or Chattel Mortgage payments on motor vehicles and equipment. – Losses of previous years (or intra-group transfers). – Car expenses (remember to include petrol, repairs and parking and maintain a log book where necessary). – Tax agent’s fees and other accounting and tax audit fees. – Details of the destination and purpose of any interstate or overseas trip. Expenses must be fully documented where travel involves at least one night away from home. Travel diaries should be included where travel exceeds five nights. – Research and development expenditure. – Bank fees (where the credit or deposit represents assessable income). – New loans taken out during the year and their purpose, including any new lease or chattel mortgage agreements. – Statements from the lending authority detailing the opening and closing balances of existing loans during the financial year. – Provisions for long service and annual leave. – Details of loan accounts to directors, shareholders, beneficiaries and partners. – Accrued expenses (e.g. audit fees, interest payments). – Overseas transactions, exchange gains/losses. – Private companies – remuneration or loans to directors, shareholders and their relatives. – Changes to the capital of the company. – Whether family trust elections have been made in relation to trusts.